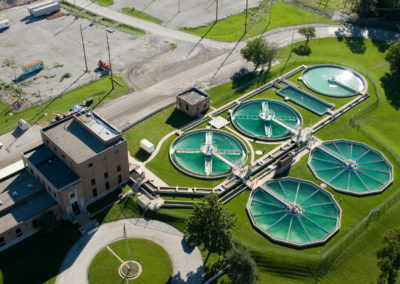 A major drought in the summer of 2012 where customers lived through water restrictions, drove the City of Edwardsville, IL to pursue a Design-Build approach for a treatment plant improvement to avoid any potential for a repeat in 2013. 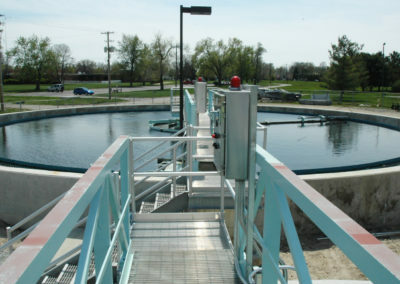 Time was of the essence for delivering a much-needed expansion of the city’s raw (8 MGD) and finished (12 MGD) water pump station. 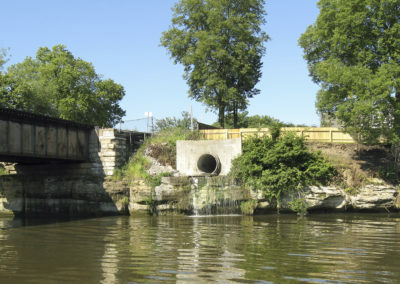 Coordination with state EPA and a pump station capacity increase study was performed by Crawford, Murphy & Tilly (CMT) followed by the city’s decision to have CMT design and oversee the construction of the improvements recommended by the study. A Design-Build (DB) approach was recommended to meet the aggressive schedule. However, unlike a traditional DB project where the engineer works for the contractor, the city wanted CMT to remain independent and CMT’s contract with the city remained in place. The project became a hybrid Design-Bid-Build/Design-Build. CMT worked with the selected contractor and completed the design in 13 packages. The contractor obtained bids for each package and selected the subcontractors. Construction was underway within 4 months after the start of design. The city amended CMT’s contract for full-time construction observation. Overall, this complex project was completed on an extremely aggressive schedule and in operation just under 9 months from the start of design. The 12 MGD high service (finished water) pump station consists of a 25-foot deep wet well, a pre-engineered metal building, five vertical turbine pumps rated at 2,450 gpm each and all associated discharge piping, fittings and valves, electrical and controls and standby generator. Connection of the new wet well to the existing 1 MG clear well was also part of the improvements. The existing low service (raw water) pump station was also modified and its capacity increased from 6 MGD to 8 MGD by converting the existing high service to low service pumps. CMT coordinated a construction staging plan that kept existing plant components in operation during the construction along with plant startup.